A 7 meter steel sculpture of a man and a woman stands on the seashore boulevard of Batumi (Georgian: ბათუმი) on the Black Sea coast of Georgia. 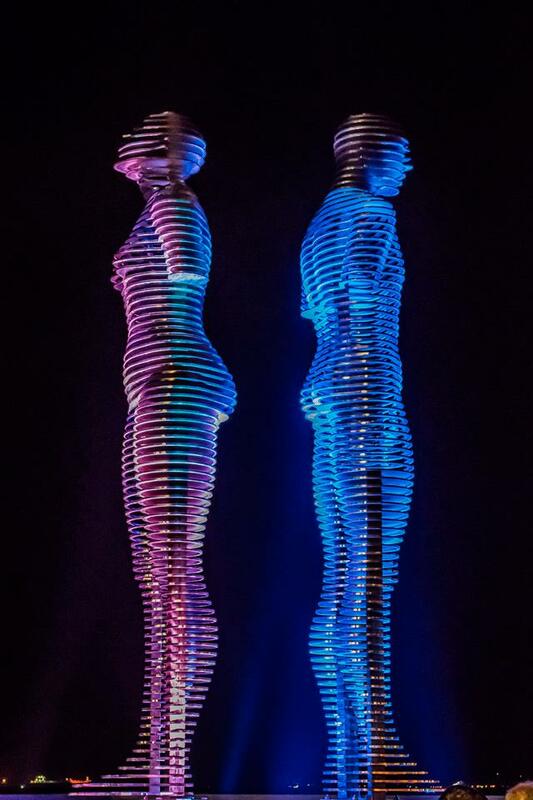 Created by Georgian artist Tamar Kvesitadze (Georgian: თამარ კვესიტაძე), the figures move toward each other and merge into one piece every 10 minutes. Statue of Love. Photo by Маша Рябкова. The Statue of Love sculpture (Georgian: სიყვარულის ქანდაკება) is inspired by the love story of “Ali and Nino” (Georgian: ალი და ნინო) by Kurban Said. The story is similar to Shakespeare’s Romeo and Juliet and tells of an Azerbaijani youth who falls in love with a Georgian princess but dies defending his country. 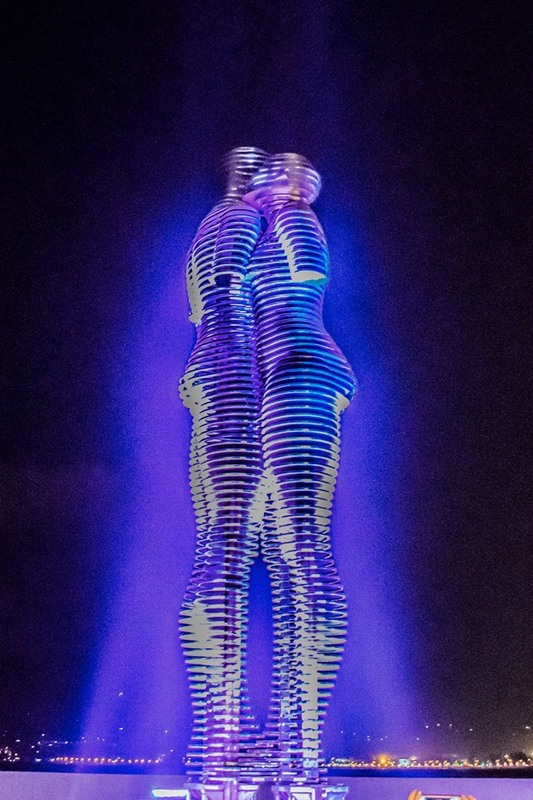 The 7 ton statues start their motion at 7 P.M every day and are controlled by computer and lit with dramatic color lighting. Click here to see a YouTube video of the sculpture in motion. A small-scale version of the sculpture was displayed at an exhibition in London before the artist took the decision to create a new version on a huge-scale for the city of Batumi. It took 10 months to construct. 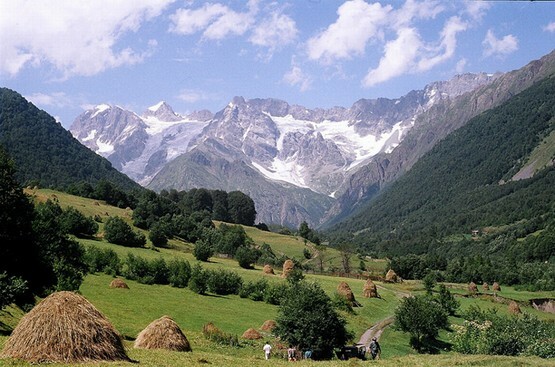 It is a stunning example of modern Georgian art! 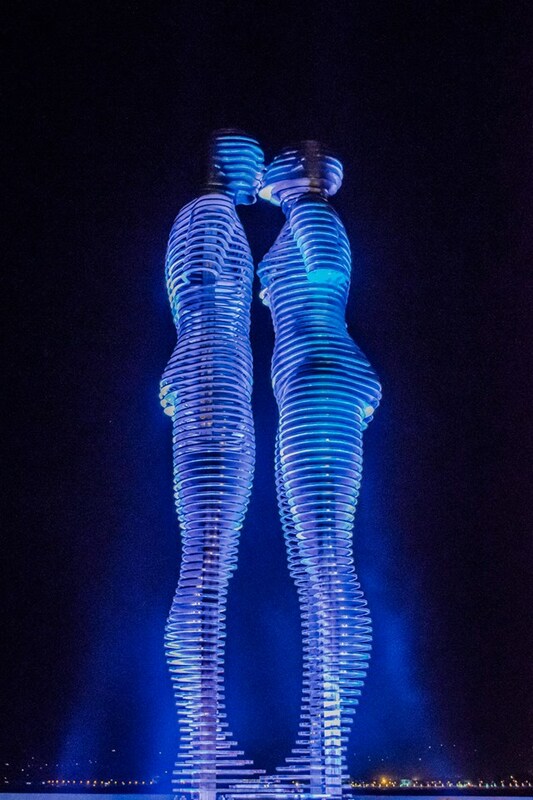 What a fantastically beautiful sculpture – I love it! How wonderful that the story is going to be made into a film and I now know a little of its history before it happens. If it weren’t for you, I would certainly not have known. Interesting, but a little weird too. Reblogged this on Το αδιανόητο.